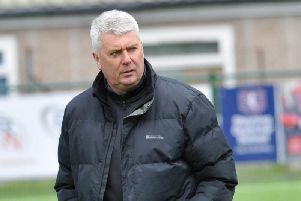 Burgess Hill manager Ian Chapman left frustrated with run of postponed fixtures as his side look to lift themselves off the bottom of the Bostik Premier Division. The Hillians saw their home tie with Leatherhead on Saturday postponed due to the poor weather conditions and without a win in nine games Chapman is left wanting fixtures being played. He said: “We just want to get a bit of a rhythm going but it’s really hard you train hard and do the right things but you just want to get some games in and play some football. “We need to get results and when we miss out other teams pick up results and it makes it harder, we just hope to get a run of games and get some points on the board. The Hillians have lost four on the bounce since their 1-1 draw with Harlow last month and Chapman is not hiding away from the fact his side need to turn their form around. “We can’t hide behind the fact that we have struggled this season and with the way it's gone we are under pressure to pick the points up but at least we know what we need to do it’s no secret. Chapman’s side have two home games in a row now as they host 17th-placed Dorking Wanderers tomorrow night (Tuesday) and 20th-placed Brightlingsea Regent, with the Hillians boss viewing these as tough, but winnable games. “We’ve gotta go forward now and go out and step up to the plate we have two home games this week and we need to get some results. “There's no easy games, we've played good sides and played well against them and played bad sides and played poor against them there's no easy game every game is taken with its own merit.